Ting's 'Sling' is hand woven into a body contouring 3 dimensional form using seatbelt in a choice of bright shades. Hand Made in the European Union (EU). 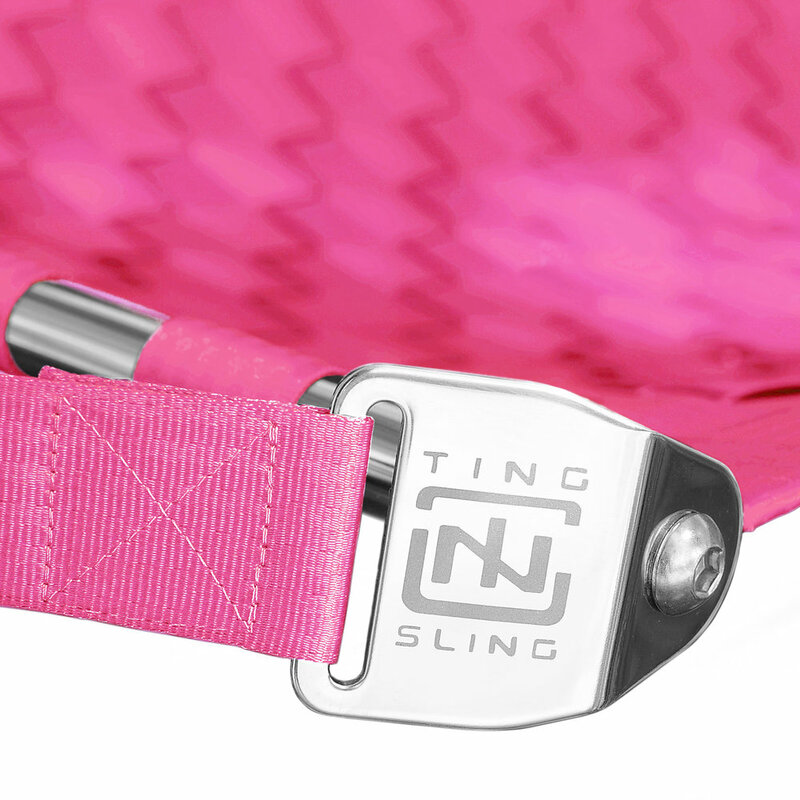 Tough nylon rope and polished stainless steel hardware with ‘TING SLING’ etched logo. Stainless steel tubes support the hammock on each end providing strength and durability. Ting recommends a maximum safe weight of 113 kilos / 250 lbs. 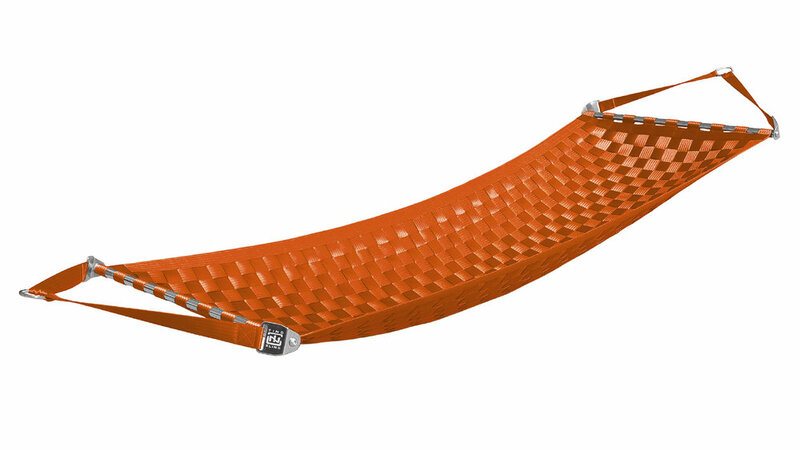 Bespoke colour combinations and double size hammocks can be made to order, please contact studio@tinglondon.com for more information. Care: Clean with warm soapy water and allow to air dry. Please contact Ting for more detailed instructions.